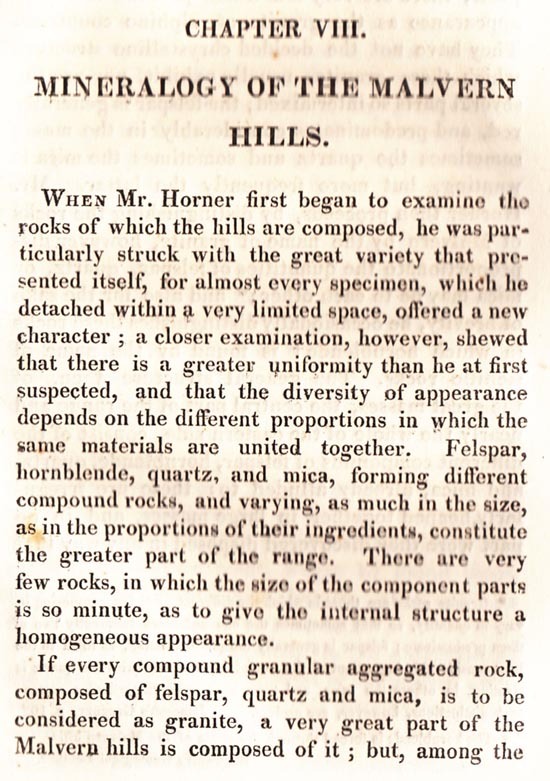 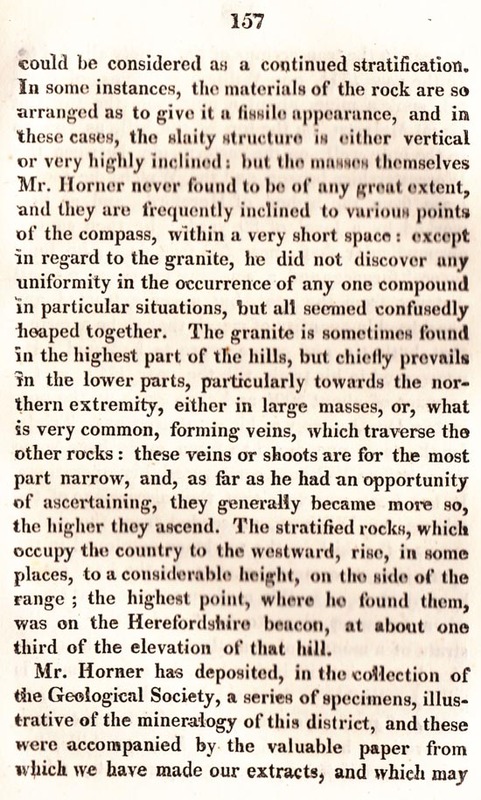 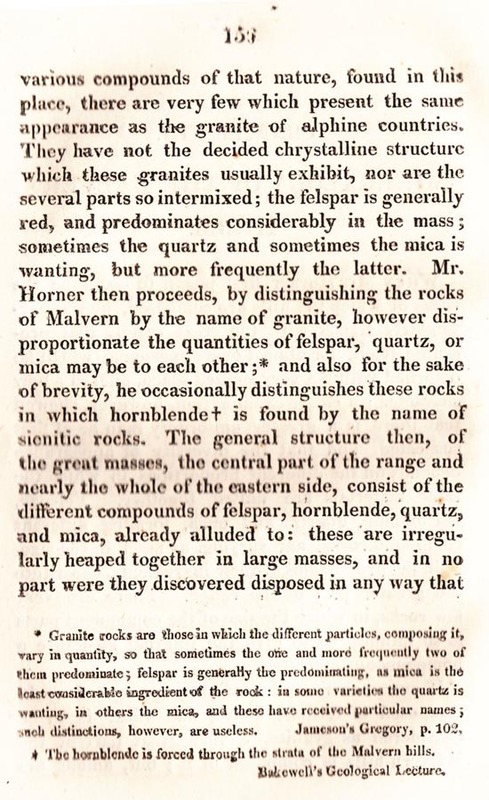 THE POSSIBILITY OF MINERAL WEALTH IN THE MALVERN HILLS HAS BEEN SERIOUSLY CONSIDERED IN THE PAST. 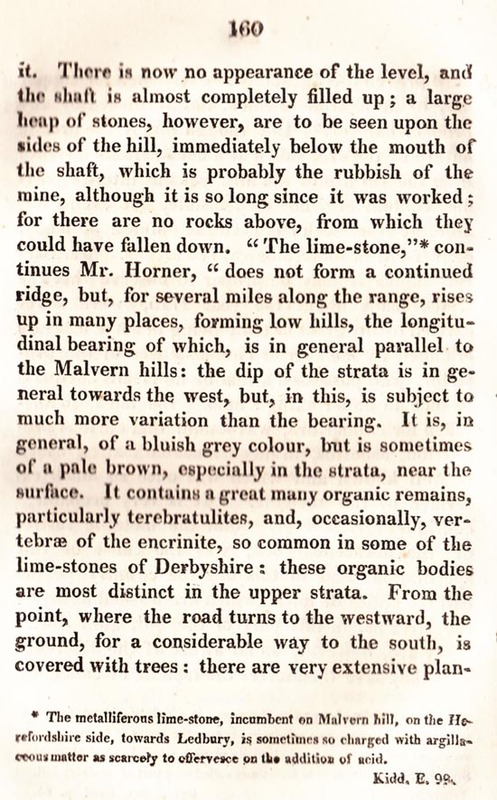 IN PARTICULAR THE MINE THAT IS REFERRED TO ABOVE DATED EARLY 18TH CENTURY, IS THOUGHT BY SOME TO BE GOLD BEARING. 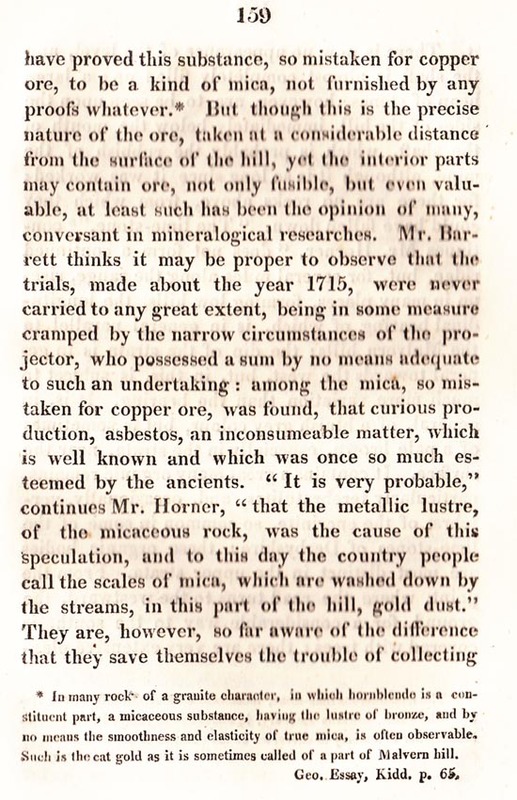 THE PROBLEM IS THAT IF GOLD IS DISCOVERED IT IS DELIBERATELY KEPT SECTRET TO AVOID SPECULATORS RUSHING TO THE LOCATION. 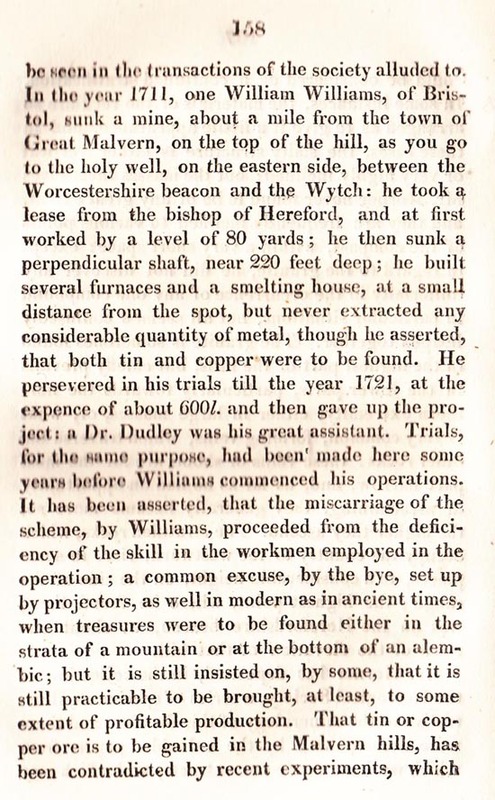 THE PROSPECT OF GOLD IN THE HILLS IS CONSIDERD FURTHER IN THE GOLD MINE PART OF THIS WEB SITE - TO ACCESS IT CLICK WEBSITE ABOVE LEFT.